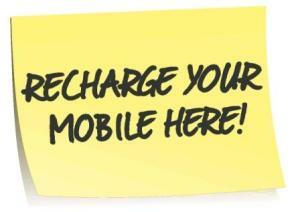 Online recharge is an easy way of getting recharge done from your mobile. It saves your time and makes you dependable. So, you don’t have to go all the way to the store to recharge or stay in the queue to pay your bills. Online recharge apps for Android gives you a menu with offers to choose which package is better according to your usage. Let us take you through some of the best Pay Mobile Postpaid Bills or Online Recharge Apps for Android, iPhone, iPad, windows phone and tablet currently available at Play Store for free dowload(Pay Mobile Postpaid Bills or Recharge from Anywhere with Your Smartphone). This is a best mobile Phone recharge app for android that enables one to enjoy such services as mobile recharge, DTH recharge and bill payments in India for both post and prepaid mobile services. 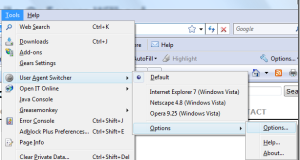 The application supports all operators, for instance, Vodafone, Airtel and others. MobiKwik also enables online transactions possible. This application also enables money transfer and payments of all kinds of bills, including a life insurance policy pays for the ICICI Prudential, Tata, AIG and others. One only needs to download the application and is good to go. Free Recharge online mobile recharge app for prepaid and postpaid mobile services, DTH and Data Card recharges in India. It rated India’s number one recharge application and it only needs ten seconds to execute a service. Moreover, it is fast, safe and secure means of recharge. Free Recharge apps for Android accommodates all mobile service providers in India, For instance, Airtel, Vodafone, Reliance etc. The application over a range of services that entails prepaid and postpaid mobile services, television recharge (DTH), credits, online recharge transactions and many more. One only need to log onto prepaid mobile application using Google+ or Facebook accounts to enjoy these amazing mobile service experiences. The Easy Mobile Recharge application is secure, safe and very convenient recharge application that enables the android smart phone users to enjoy a range of mobile services via the internet. The application has been endowed with a range of services that will enable the users to enjoy payments options available, whether debit or credit with all mobile operators supported. It also enables DTH and Data Card recharge available and in addition to all these, it provides internet packs, 2G Pack, 3G Packs all available on a single mobile application. The only requirement needed is the download of the application and all set to go. This is another incredible mobile recharge application which enables all mobile services possible over the internet. The amalgamation of mobile recharge, Data Card recharge, DTH recharge and postpaid mobile bill payment services in one incredible mobile application known as Mypayworld offers the best experience ever to its users. Moreover, the acceptance of Visa and Mastercard use via the application makes it even more competitive. One only needs to download the application and they will be good to go. The Bill Pay application presents the easiest way of paying bills via mobile phone services. It’s very convenient for all users as it accommodates all mobile service providers. The most advantageous aspect of this application is that it allows to recharge. Hence, all bills that are required are facilitated in time they include mobile recharge, DTH card broadband connections.